Green onions es una de las canciones instrumentales más famosas de todos los tiempos. 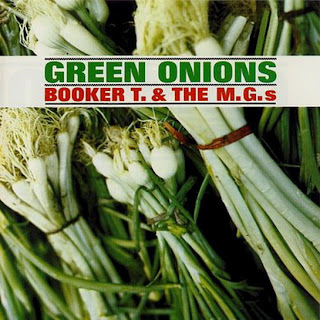 Compuesta por Booker T & MG´s en 1962 siempre se ha elucubrado sobre su signifiacado real. Algunos pensaban que las cebollas verdes tenián mucha relación con los brotes de Marihuana. Los autores trataron de desmarcarse de esa leyenda, justificando que la inspiración del tema estaba relacionada con la forma de caminar de un tejón. En otra ocasión, según Songfacts.com, T. Jones indica que cuando se le preguntó. "¿Por qué 'Green Onions'?" Booker T dijo: " Porque esa es la cosa más desagradable que se me ocurre, es algo que tiras". Encontrarás muchísimas versiones y usos de esta canción en cientos de películas y anuncios. Green onions is one of the most famous instrumental songs of all the times. Composed by Booker T and MG's in 1962 always it has be imagine on his real sense. Some of them were thinking that the green onions has a closer relationship with the outbreaks of Marijuana. The authors tried to be unmarked of this legend, justifying that the inspiration of the song was related to the way of walking of a badger. In another occasion, according to Songfacts.com, T. Jones indicates that when one asked him. " For what 'Green Onions'? " Booker T said: " Because this it is the thing more disagreeable that it happens to me, it is something that you throw ". Which do you believe yourself? You will find many versions and uses of this song in hundreds of movies and announcements.